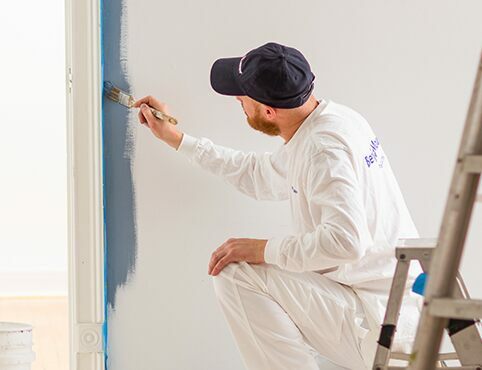 Working side-by-side with painting professionals for over 140 years has been a privilege. Today, we remain as deeply committed to the craft of painting–and the tradespeople who power it–as the two brothers who founded Benjamin Moore were in 1883. On par with the pride we take in our paint is the pride we take in the relationships we have with painting professionals. 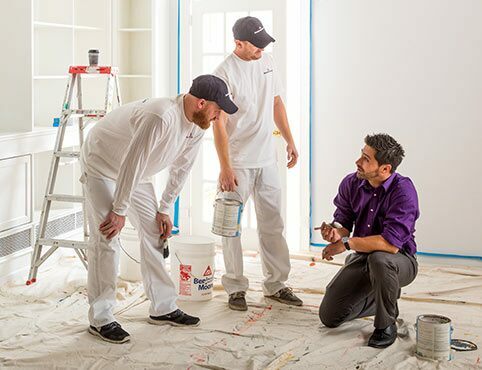 Here, we celebrate just a few of the ways Benjamin Moore is connecting with the contractor community. #KeepCraftAlive, powered by Fine Homebuilding, helps support student trade scholarships. In 2018, Benjamin Moore worked with national nonprofit student organization SkillsUSA in association with FineHomebuilding to award $70,000 USD in #KeepCraftAlive student trade scholarships. “There’s more work than people to do it,” says Benjamin Moore Director of Professional Segment Marketing, Craig Bunting. With 60% of painting jobs done by painting professionals, Benjamin Moore is actively engaging in growing painting as a career choice. For 30 years, professional painter Jim Lacey has loved being “on the job” and working with customers one-on-one. Get inspired by one seasoned painter’s story: Jim Lacey shares his career trajectory. In a recent historic reproduction project profiled in this video, he paints a modern-day wall to appear like old plaster, hand-brushing it to mimic the trowel marks of a plastered surface. Jim uses colours from the Historical Collection, including Crown Point Sand HC-90 for the mantel. "A good primer is the backbone of the whole paint job.” Hear more job tips from Kirby in this video. “I love what I do because each day is a challenge,” says veteran painting professional Kirby Perkins of Newport, Rhode Island, who specializes in restoration work. Counting on his knowledge of chemical coatings and how they’ve changed over time, Tim’s expertise fuels his team forward every day. This library of contractor materials provides in-depth information and tools for painting contractors on how to tackle a wide range of projects and paint issues.